The main stage determining the porous structure is the activation method. The objective during the activation is both to increase the number of pores and to increase the size of the existing ones, so that the activated carbon has a high adsorption capacity. The different activation processes are divided into two different groups: chemical and physical activation.1 The differences between both are the procedure and the activating agents used. The preparation of activated carbons by physical activation3 includes a controlled gasification of the carbonaceous material that has previously been carbonised although, occasionally, the activation of the precursor can be directly done. Thus, the samples are treated to 800-1,000°C with an oxidant gas (usually CO2 and steam), so that carbon atoms are being removed selectively. Pore size distribution in the activated carbon depends on the precursor, the preparation conditions (mainly temperature, time and gas flow), the activating agent used and the presence of catalysts. 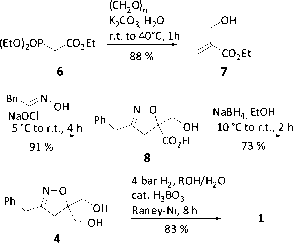 On the other hand, the chemical activation process consists of mixing a carbonaceous precursor with a chemical activating agent, followed by a heat treatment stage, and finally by a washing step to remove the chemical agent and the inorganic reaction products.14 Several activating agents can be used in a chemical activation process, including phosphoric acid, zinc chloride, and the hydroxides and carbonates of alkaline metals. Our research group has developed a deep research in the potassium and sodium hydroxides activation process,5-8 obtaining very interesting results and developing high performance materials for different applications, as it will be shown later in this chapter. As it has been mentioned in the introduction, characterization is an essential step. Since the porosity in activated carbons is responsible for their adsorption properties, the analysis of the different types of pores (size and shape), as well as the pore size distribution, is very important to foresee the behavior of these porous solids in final applications. The complete characterisation of porous carbons is complex due to the heterogeneity in the chemistry and structure of these materials. Thus, the selection of the appropriate method can be difficult and, most of the times, a combination of techniques is used. Regarding the evaluation of the porosity of activated carbons, physical adsorption of gases is, undoubtedly, the most widely used technique.11 Due to the considerable sensitivity of nitrogen adsorption isotherms to the pore structure in both microporous and mesoporous regimes and to its relative experimental simplicity, measurements of subcritical nitrogen adsorption at 77 K are the most used. However, the main disadvantage of N2 adsorption at 77 K is that when it is used for the characterization of microporous solids, diffusional problems of the molecules inside the narrow microporo-sity (i.e. pore size below 0.7 nm) may occur.12-15. Moreover, there is an additional experimental difficulty in the adsorption of subcritical nitrogen because very low relative pressures (10-8-10-4) are needed to extend the range of porosity studied to the narrow microporosity, what requires more sophisticated and expensive adsorption equipments. To overcome these problems, the use of other adsorptives has been proposed.1215 CO2 adsorption, either at 273 K or 298 K,12-15 is a useful alternative for the assessment of the narrow microporosity. Though the critical dimension of the CO2 molecule is similar to that of N2, the higher temperature of adsorption used for CO2 results in a larger kinetic energy of the molecules, which are able to enter into the narrow porosity. In this way, CO2 adsorption has been demonstrated to be an appropriate complementary adsorptive for the analysis of the microporosity.15 In the following examples, the usefulness of CO2 adsorption at 273 K to achieve a rather complete characterisation of the porous texture of microporous carbons will be discussed.